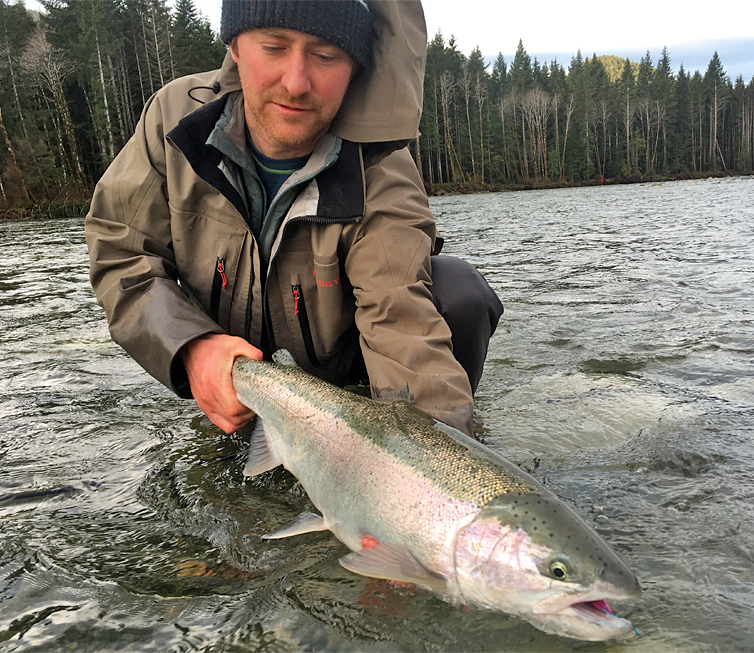 The steelhead is a rainbow trout that migrates from the river to the sea and back again, with much size and power to show for it. 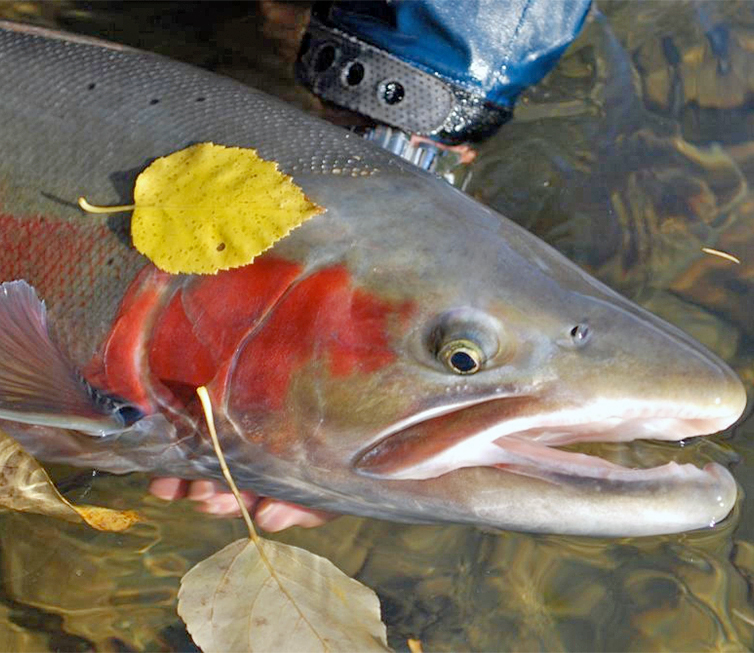 Rainbow trout and steelhead are the same species, but completely different animals. 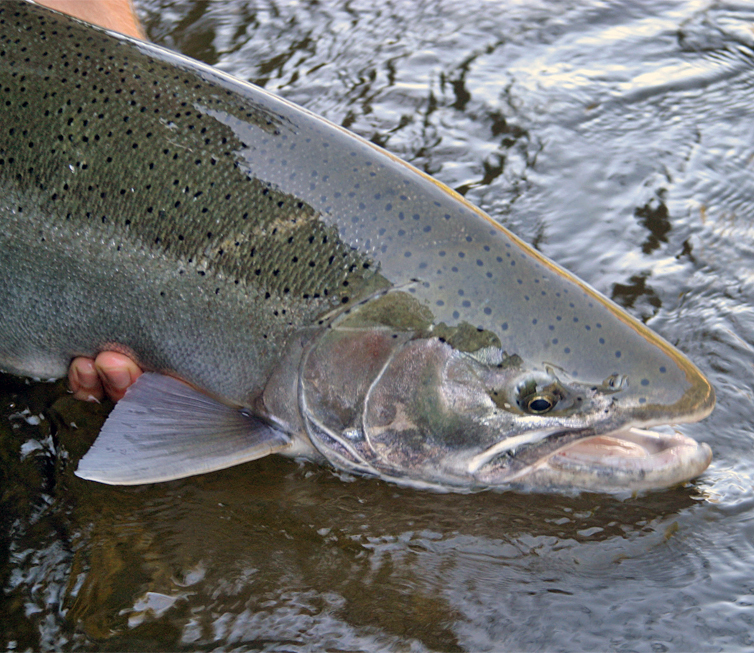 Considered one of, if not the most noble of sportfish, the steelhead is famous for its beautiful shape and color, its unrelenting, aerobatic fight when hooked, and the extreme weather and water environments it often inhabits. 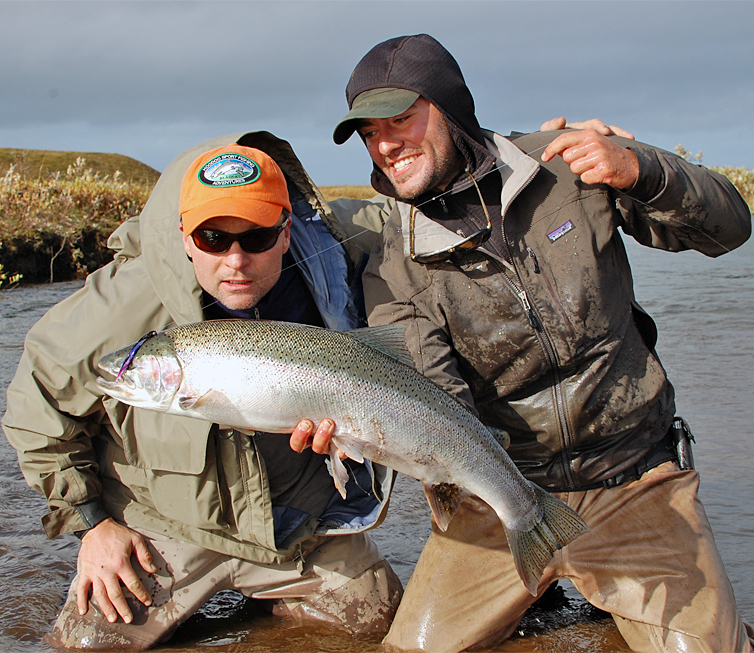 These factors combine to make the pursuit of steelhead a serious challenge and an addiction unto itself. Their fanatics, like the fish themselves, are wanderers, searchers, hunters. 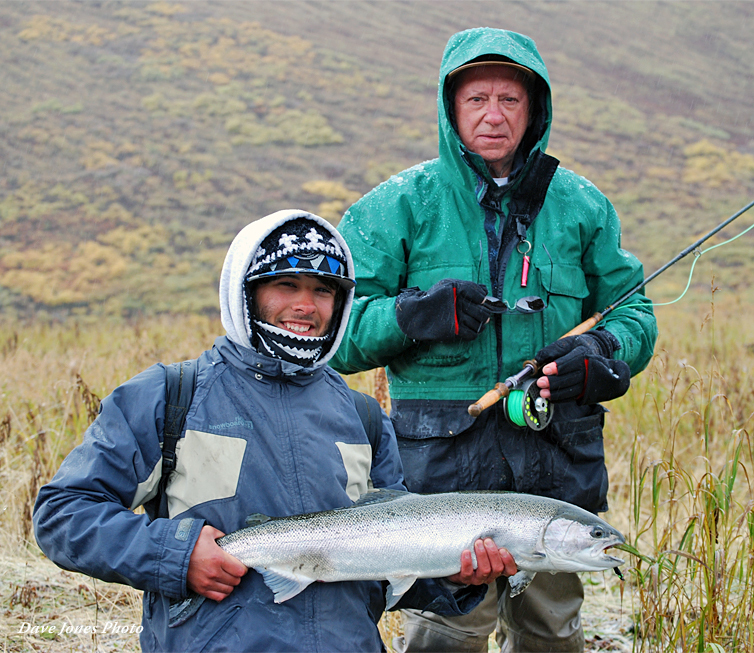 They are some of flyfishing’s most serious devotees and will go to any length, through any weather, at any cost, just for a chance. The tug is the drug, it doesn’t come often, and you don’t get it by staying home. A steelhead is a rainbow trout (Oncorhynchus mykiss) which is born in a river and then, after a juvenile period, migrates to the sea like a salmon. Eventually, after usually 2 or 3 years, they return to their natal streams to spawn. 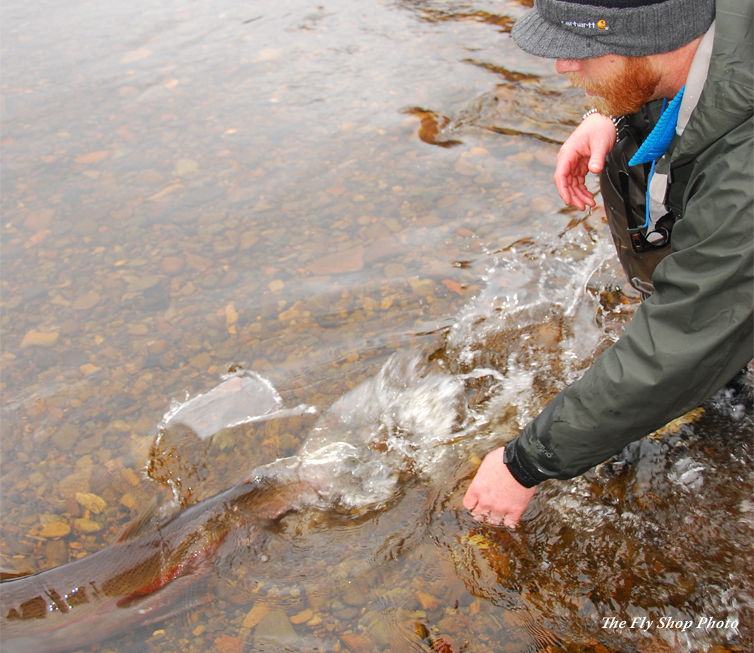 While most steelhead will die after spawning, some will return to the sea and survive to spawn again. What triggers a salt water migration in some trout but not in others remains a thing of a mystery, but whatever the reason, their oceanic journeys are legendary. For instance, a tagged steelhead of Columbia River, Oregon origin was once recaptured off the coast of Japan; and unlike salmon, which maraud the high seas in schools, steelhead swim solo. 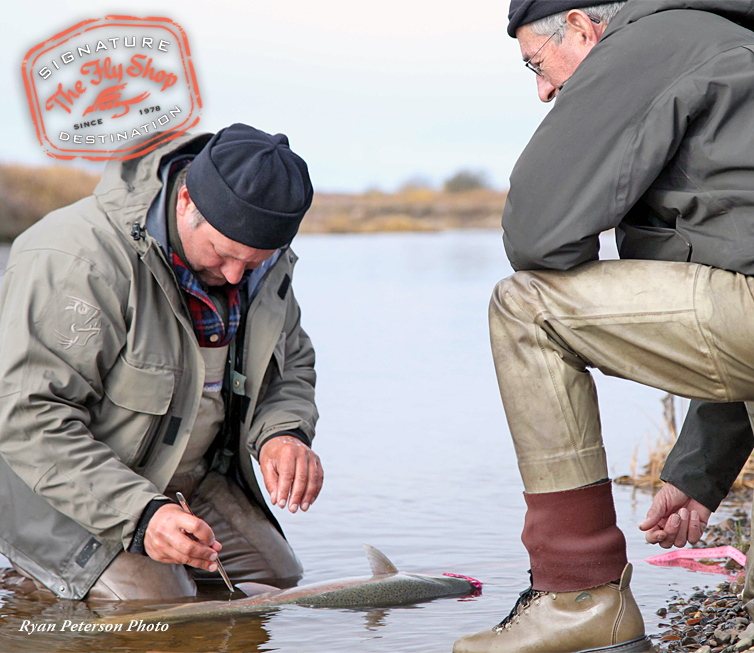 These unique characteristics add to the intense mystique ascribed to them, but ultimately it’s the size and power of a steelhead, gained in the ocean, that is the draw to flyfishers. 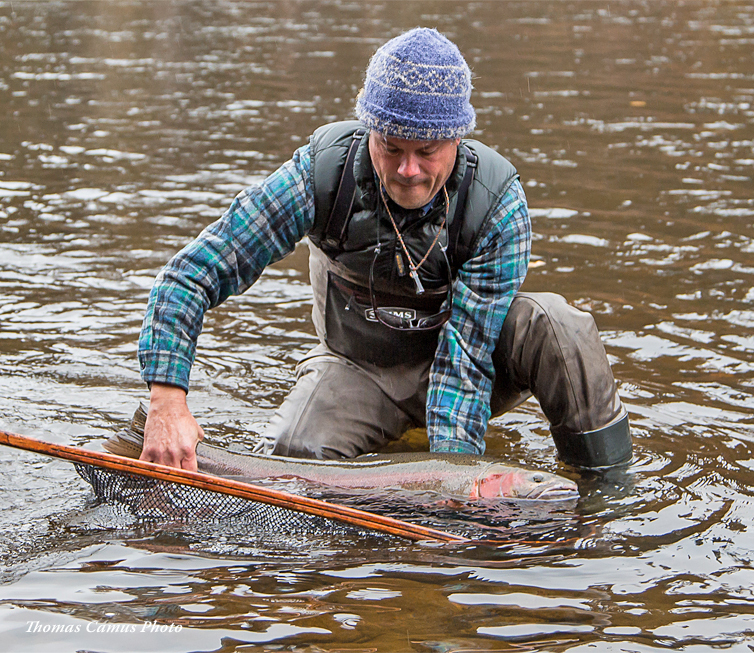 This “transformation” from rainbow trout to steelhead – from meager river origin to the supercharged energy of the sea – is like that of Superman before and after stepping into the phone booth. 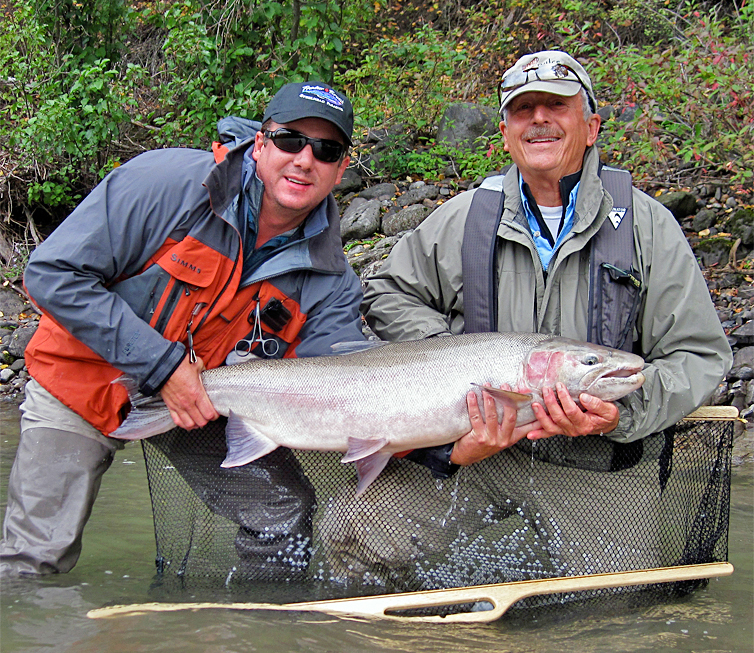 Historically, steelhead were found in most river systems of the North Pacific Rim, from Kamchatka, Russia to Baja, Mexico. Today, habitat loss in their southern range makes their northern range a very important focus. 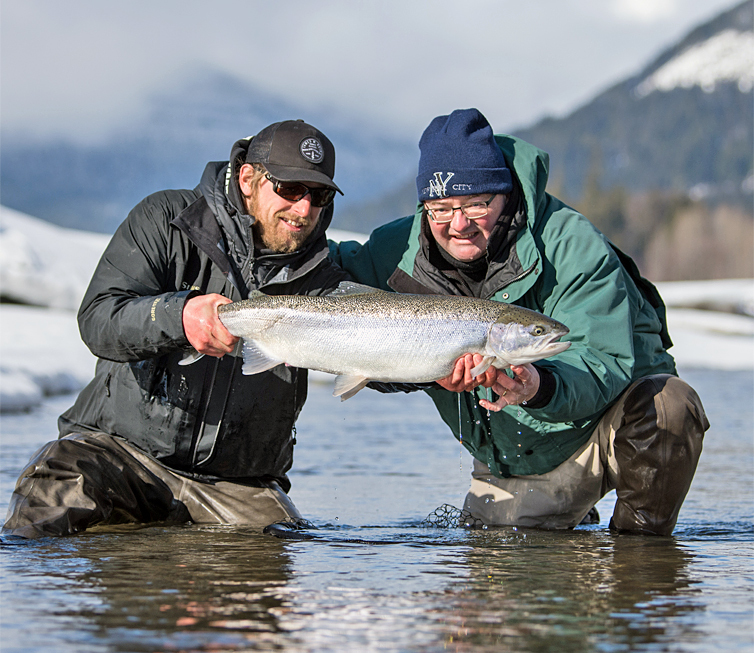 British Columbia’s Skeena River watershed, the Alaska Peninsula and Kodiak Island, and the west coast of Kamchatka are especially excellent places to go for steelhead.